We are the one stop destination in market for availing best quality Concrete Cube Moulds. Concrete Cube Moulds offered by us are used for making concrete cubes. 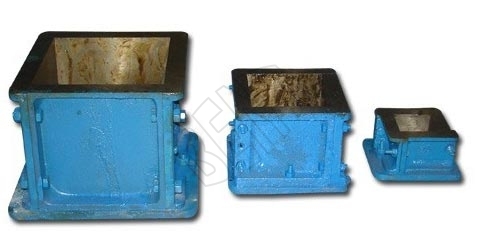 Concrete Cube Moulds, that we offer, are made of Cast Iron, and thus they are very tough and long lasting. We make available Concrete Cube Moulds in various sizes to meet the requirements of different clients.